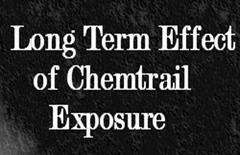 Chemtrails and Naphthalene - Chemtrails Spraying and Naphthalene - NAPHTHALENE Chemtrail Information - Stop Chemtrail Spraying in California! 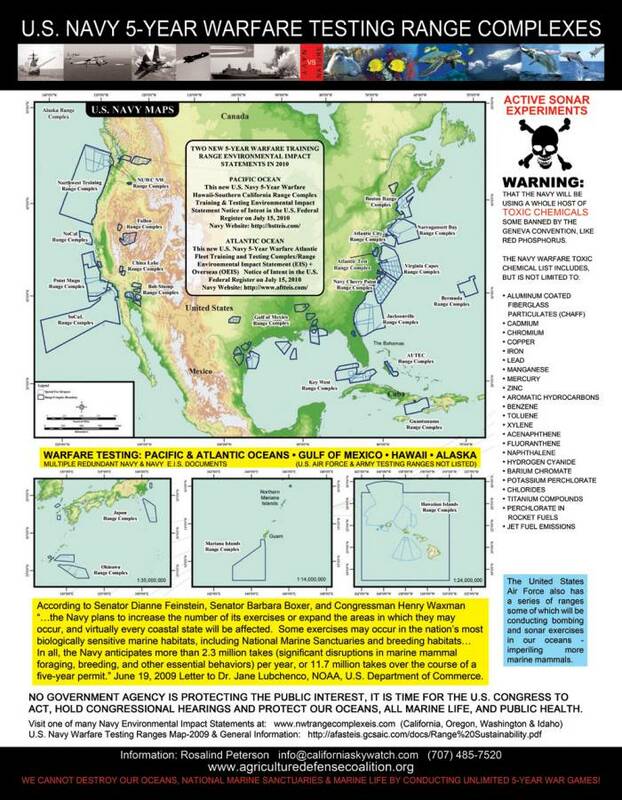 Navy 5-Year Warfare testing in California includes many toxic chemicals including Naphthalene. In April 1982, the Clark County Health Department in Jeffersonville, Indiana, received a telephone call from a 26-year-old woman whose friends were becoming ill with symptoms of headache, nausea, and vomiting while visiting her apartment. An investigation of the home by the health department identified large numbers of mothballs (approximately 300-500) distributed throughout the apartment in such places as the kitchen and living room. The woman said members of her family had used mothballs for many years to curb odors and to control insects. Air samples collected in the apartment on charcoal and analyzed by gas chromatography and flame ionization revealed detectable levels of naphthalene (20 parts per billion). The woman, her 4-year-old daughter, and seven relatives living in two other households where mothballs were extensively used, had symptoms and medical findings compatible with naphthalene exposure--headache, nausea, vomiting, abdominal pain, malaise, confusion, anemia, icterus, and renal disease. Headache, nausea, vomiting, abdominal cramps, and malaise disappeared in members of all three households when mothball use was discontinued, and visitors no longer developed symptoms when visiting the woman's apartment. Reported by M Linick, Clark County Health Dept, Jeffersonville, Indiana; Special Studies Br, Div of Chronic Diseases, Center for Environmental Health, CDC. Editorial Note: The use of mothballs in homes to control odors and insects is common in some areas of the country, although the quantity of mothballs used in this situation appears uncommon. The major component of mothballs is naphthalene. Inhalation of naphthalene may cause skin and eye irritation; gastrointestinal symptoms, such as nausea, vomiting, abdominal cramps, and diarrhea; neurologic symptoms, such as confusion, excitement, and convulsions; renal problems, such as acute renal shutdown; and hematologic features, such as icterus and severe anemia. The erythrocytes of individuals with glucose-6-phosphate dehydrogenase deficiency are more susceptible to hemolysis by naphthalene (1-3). Although naphthalene levels were relatively low when measurements were taken in the home, levels may have been much higher--because of increased volatilization of naphthalene--when fresh supplies of mothballs were first introduced. Individuals vary widely in susceptibility to naphthalene exposure, and among sensitive individuals, minute doses have induced symptomatic reactions (3). Although adequate air monitoring to fully characterize exposure was not available, it seems possible that such excessive use of mothballs could lead to symptomatic reactions. Because of the wide range of sensitivity to naphthalene, the excessive and inappropriate use of mothballs for odor and insect control is inadvisable. 1. Daugaard J. Symptoms and signs in occupational diseases: a practical guide. Chicago: Year Book Medical, 1979. 2. Sittig M. Handbook of toxic and hazardous chemicals. Park Ridge, New Jersey: Noyes, 1981. 3. Gosselin R, Hodge H, Smith R, Gleason M. Clinical toxicology of commercial products, 4th ed. Baltimore: Williams and Wilkins, 1976. Naphthalene is either a white solid or a liquid with a strong odor like mothballs. It’s used to make dyes, explosives, plastics, and lubricants. Naphthalene is found naturally in crude oil. It is also found in coal tar wastes at former manufactured gas plants. Coal tars were by-products at these plants. In homes, naphthalene may be used as a moth repellent or may be released from dyes or new plastic items. Naphthalene evaporates quickly. Some of the naphthalene that ends up in lakes, streams or soil evaporates into the air. Naphthalene that seeps through soil into groundwater can remain unchanged for many years. HOW ARE PEOPLE EXPOSED TO NAPHTHALENE? Breathing: People breathe naphthalene most often when they’re working with it on the job. People could also breathe the chemical as they visit a chemical cleanup site, use mothballs around their house, do laundry or bathe with contaminated water. Drinking/Eating: People can be exposed to low levels when they use contaminated water for drinking or preparing food. Touching: Naphthalene can be absorbed through the skin when people handle the chemical, work or play in contaminated soil, or when using contaminated water for activities such as bathing or laundry. DO STANDARDS EXIST FOR REGULATING NAPHTHALENE? Water: There are no state and federal drinking water standards for naphthalene. We suggest you stop drinking water that contains more than 20 parts per billion (ppb) napththalene. If levels of naphthalene are very high (above 1,000 ppb) in your water, you may need to avoid washing, bathing, or using the water for other purposes. Contact your local public health agency for more information specific to your situation. Air: No standards exist for the amount of naphthalene allowed in the air of homes. We use a formula to convert workplace limits to home limits. Based on the formula, we recommend levels be no higher than 0.2 part per million (ppm) of naphthalene in air. Most people can smell naphthalene at very low levels (0.04 ppm). Smelling an odor of naphthalene does not necessarily mean a health risk is present. 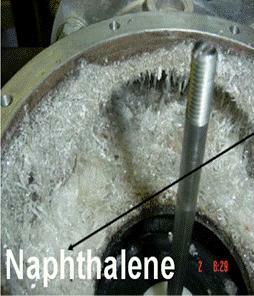 Often there is an odor of naphthalene well before there is a safety concern. The Wisconsin Department of Natural Resources regulates the amount of naphthalene that can be released by industries. WILL EXPOSURE TO NAPHTHALENE RESULT IN HARMFUL HEALTH EFFECTS? Immediately or shortly after exposure to a level of 15 ppm of naphthalene in air, a person’s eyes, nose or throat may feel irritated. Naphthalene can also irritate the skin. Very high levels of naphthalene can cause headaches and nausea. Naphthalene may also damage the liver, kidneys and the eyes. Cancer: Naphthalene is not suspected of causing cancer. Reproductive Effects: The reproductive and developmental effects of naphthalene are not known. Organ Systems: Anemia can result when high levels of naphthalene are breathed, absorbed through the skin or eaten. Repeated exposure to naphthalene can cause clouding of the eye’s lens and damage vision. 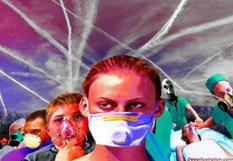 In general, chemicals affect the same organ systems in all people who are exposed. However, the seriousness of the effects may vary from person to person. A person's reaction depends on several things, including individual health, heredity, previous exposure to chemicals including medicines, and personal habits such as smoking or drinking. It is also important to consider the length of exposure to the chemical; the amount of chemical exposure; and whether the chemical was inhaled, touched, or eaten. CAN A MEDICAL TEST DETERMINE EXPOSURE TO NAPHTHALENE? Naphthalene is quickly eliminated from the body. Although naphthalene can be measured in exhaled breath, urine, blood, and other tissues, no reliable method exists to determine the level of your exposure. Doctors can use tests of the eyes and vision, blood, and liver and kidney function to check whether a person has any health effects from naphthalene exposure. Seek medical advice if you have any symptoms that you think may be related to chemical exposure. This fact sheet summarizes information about this chemical and is not a complete listing of all possible effects. It does not refer to work exposure or emergency situations. Film canister with 1-2g of flash powder and naphthalene powder. Felt the heat off this from 10 feet away. Made a nice smoke ring too. Just a little fireball with black powder and naphthalene.